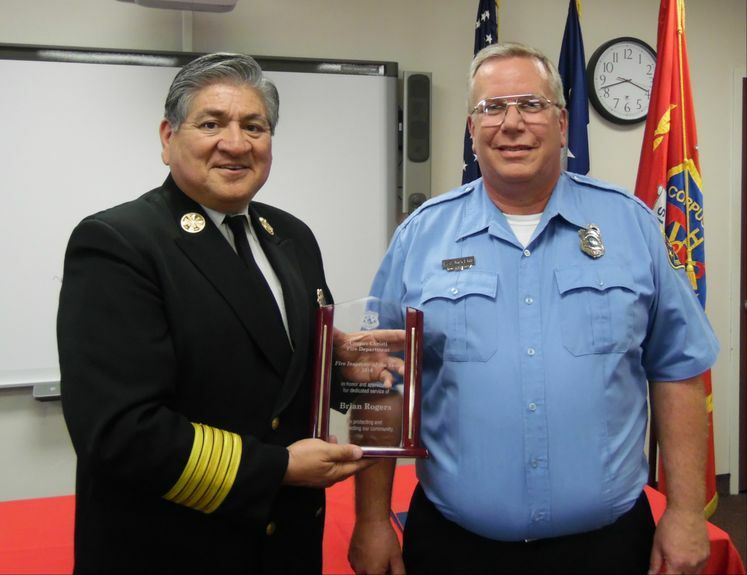 Firefighter II Inspector Brian Rogers received the 2016 Prevention Officer of the Year. Inspector Rogers has been with the department since 1992. He joined the Prevention Bureau in 2002, where he also serves on a team that facilitates evacuations during emergency situations.